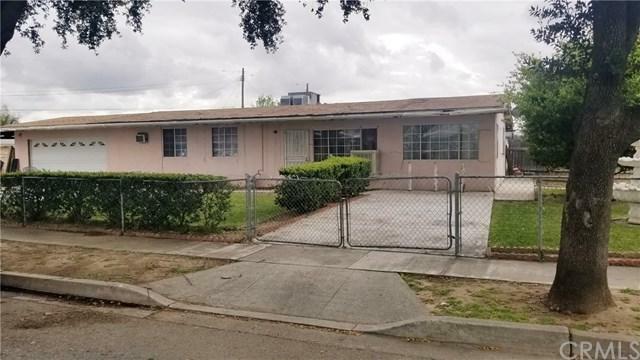 197 N Macy Street, San Bernardino, CA 92410 (#EV19064942) :: Ardent Real Estate Group, Inc.
Great home in a very nice, quiet and desirable neighborhood in San Bernardino. Come check out this beautiful home featuring 4 bedrooms and 1 bath, needs a little TLC but owner is making repairs now. Central AC/Furnace, big 2 car garage and an additional driveway for extra parking. Dont miss out on a great opportunity! Down the street from the city of Rialto and just minutes from 215 freeway and 10 frewway.